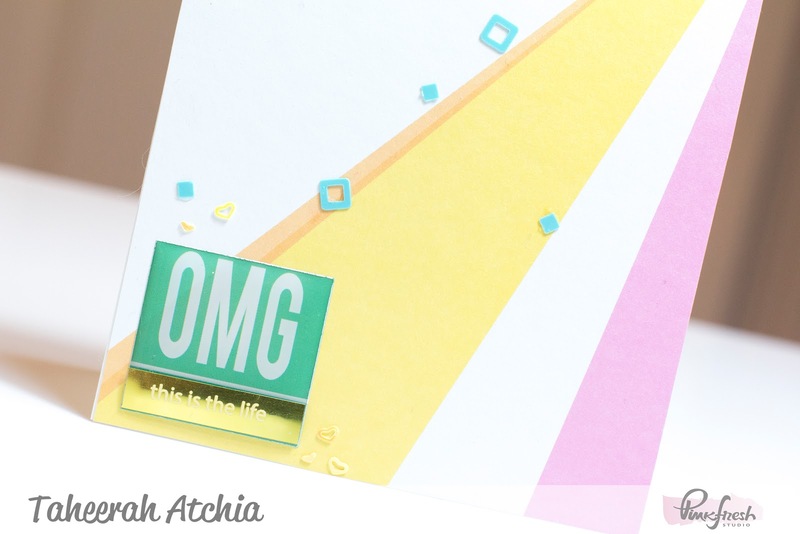 This Is The Life Card by Taheerah! Hi everyone! Happy Sunday! It's Taheerah and today I wanted to share another card that I made with the June Fresh Inspiration Kit! 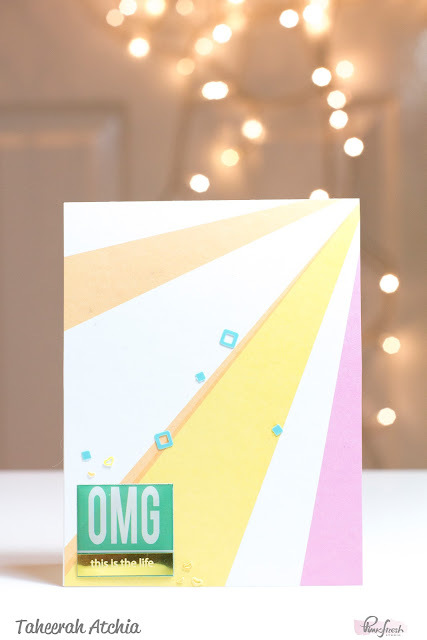 This is such a quick and easy card to put together - but it's full of impact! I used some patterned paper from the Up In The Clouds Collection to cover my base, then added one of the awesome square epoxy stickers from the June kit, covering the bottom part of the sentiment with one of the *awesome* gold foil word stickers! I added some of the confetti pieces from the April and May kits to complete the look! I hope you've enjoyed my project today - I'd love to hear your thoughts in the comments section! Don't all the Pinkfresh products mix and match so well? Make sure you head on over to the Pinkfresh Studio Boutique for all the goodies used today and fill your cart up pronto!! I can't wait to see how you're inspired! Thanks so much for stopping by! !